Kidtoons is at it again! 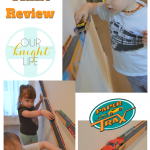 Time for another wonderful Family Movie, and a great giveaway! Did you know that Kidtoons has recently lowered prices on their family movies in many areas? Make sure to check your area to see the new prices! 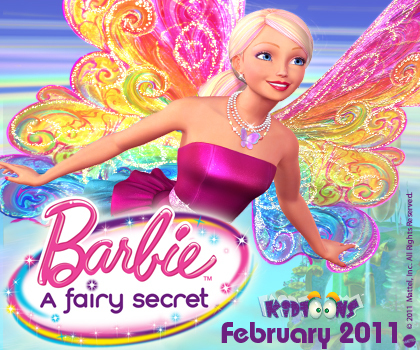 February Kidtoons Event is Barbie A Fairy Secret! Kidtoons is generously giving away this GREAT prize pack to one lucky Family and Life in Las Vegas reader! Entering is easy – all you have to do is the mandatory entry. Extra entries are available but not mandatory. 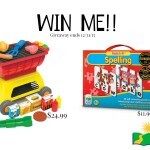 Please make sure to leave your email in your comment, or I will not be able to contact you about your win, and will have to choose another winner. 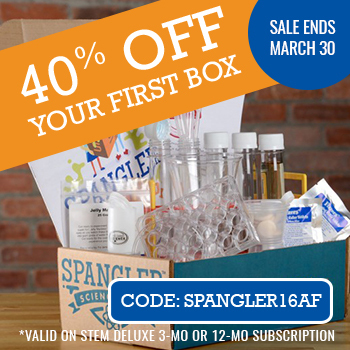 This Giveaway is open to US entrants only and ends on 2/27 at 11:59 pm PST. The winner will be chosen and notified via email. The winner has 48 hours to respond or another winner will be picked. Not sure what the “mandatory” entry is it seems to have gotten cut off… however I am a GFC follower! Your button is in my sidebar, natch. I tweeted to kidtoons, and sent them a message. I’m not sure what the first part of the mandatory entry is, but I am a GFC follower. Thanks. Like on FB~ Tiffany T.E. Like Kidtoons on FB~ Tiffany T. E.
Follow Kidtoons on Twitter~ Tiffany T. E.
I follow via GFC (andrea kruse) and am not sure what the 2nd part was supposed to be. It calls for 2 parts to the mandatory entry, but one was cut off. GFC follower. I had TONS of Barbies when I was younger. I am still a Barbie Girl at heart. :o) I saved most of them to pass on to my own daughters too. I am a follower and I had so many barbies when I was young, I had a barbie ice cream shop that had an actual ice cream maker with it. I loved having Barbies! i had a bunch of barbies and two barbie cars! I had lots of Barbies when I was growing up along with the Dream House! She was my favorite toy! Thank you! GFC follower amied027 & FB follower Rene Denning. Kidtoons FB fan Rene Denning #1. Had a few barbies when I was younger. I am a facebook follower and no, I wasn’t fortunate enough to have a Barbie when I was young. I follow on gfc and yes, I had a Barbie when I was a child. I loved my Barbies! I follow, yep, I had plenty when I was young. I follow you on GFC(5webs) and I had 32 Barbies when I was young. I also had the townhouse, the corvette, the pool, and other things I have since forgotten. I follow via gfc. I did have Barbies growing up. I did have Barbies when I was younger! Renski17 is a GFC follower. Yes, I had many Barbie dolls when I was you. I didn’t have Barbie when I was a kid. I had trucks and GI Joe (yup, I’m a guy). But, my baby girl would love Barbie. I did have a Barbie when I was growing up. I loved making clothes for her and her friends. I never had A Barbie growing up but my daughter had several she loved to play with. I had SOOOO many barbies!! I loved Barbies and had several – remember suntan Barbie? Also GFC. I’m a new FaceBook Fan (Julie C). I did have many barbies growing up. The one in particular that I remember was Peaches and Cream barbie, she had such a beautiful peach colored gown. I had Barbies, yes I have Barbies. 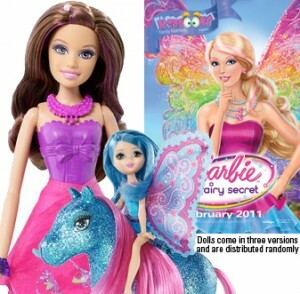 I follow your blog via GFC and yes, I had (and still have) the bubble hair Barbie……….one of the older ones! Wrote on their wall that you sent me! Yes I did have a barbie when I was younger! Yes, I had a Barbie when I was younger! I follow you through GFC! Yes I had a barbie. She went everywhere with me. I follow you on Facebook. I am a follower! Yes I did have a Barbie when I was growing up, tons of them!! So much fun! Follow Familyand Life in Las Vegas, Facebook, GFC and Twitter. I Follow Kidtoons on Facebook and told them you send me! Also Follow them on Twitter! I loved my Barbie when I was young, still like Barbie. I follow GFC. Follow you on twitter @countrynest. i had many barbies as a young girl, along with the dream house, dept. store, corvette, horse, etc. my daughter now spends a lot of time in her bedroom playing with barbies, both new and some of the ones i had saved in the attic. i follow your blog.. yes i had barbies when i was younger i didnt play with them though.. not sure why . but i have a 4 year old who absolutly loves her barbies.. lol so adorable. When I was a child I played with my sister’s Barbie dolls. 1. RSS subscribed with Google. 2. RSS subscribed with Google. Yes, I had a Barbie when I was a child and I loved her. I did have lots of barbies when I was little. Yes, I had many Barbies when I was little! I also follow via GFC (Beeb).Thank you for the giveaway! GFC follower-traymona. I was never a Barbie girl myself but Liz is obsessed with Barbies. I loved Barbies, I had dream houses and all kinds of accessories! GFC follower and i had LOTS of Barbies! I follow on GFC. I had several Barbies when I was young and stil have some! Yes, I did have Barbies when I was little and I loved them! I didn’t have barbies when I was little.. I guess I liked other toys better, but I am making up for it with my daughter! I follow and think this is a an awesome prize! Isn’t it against the law for a little girl to not have a Barbie growing up? Lol. I had tons and played with them til I was 15 years old. Then real boys took Ken’s place, and it was all downhill from there. Hahaha!!! Also like Kidtoons on FB and told them you sent me. Follow Kidtoons on twitter too and told them you sent me. Stumbled this post as well. Also Dugg this on Digg. I did have a few when I was a kid.